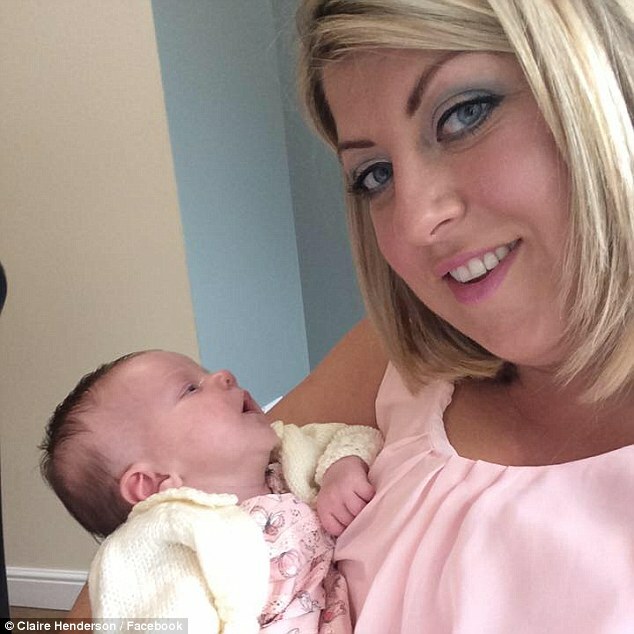 Claire Henderson’s newborn daughter Brooke spent five days in hospital. 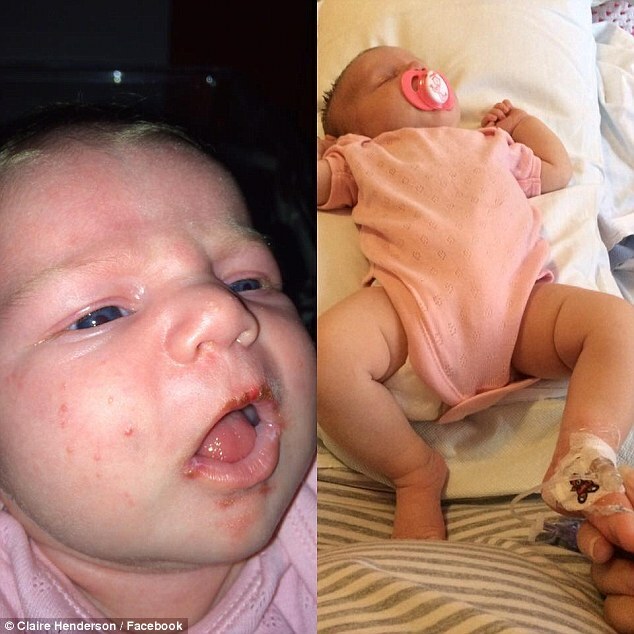 Infant had herpes virus on her lips, cheeks and chin. Doncaster mother said condition can be ‘fatal’ for baby under three months. ← Is this girl underwater or jumping into water?